Join the Esperanza Juvenil Family and support the mission in numerous ways. Boys Hope Girls Hope is a 100% privately funded 501(c)(3) charitable organization. We rely on the generosity of individuals, corporations, and foundations to help us open doors of opportunity for our scholars. You can give using a credit card over the phone by calling Boys Hope Girls Hope 314-298-1250. Organize a group of 5 – 20 people who want to get a full immersion of Guatemalan culture. 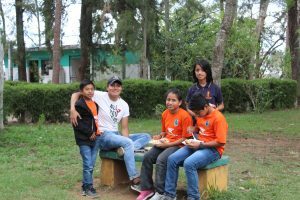 For 5-10 days you will take part of educational activities with our children, visit some touristic areas, and take part of a social service project alongside with our students. Consider a long-term commitment to the success of our program. Monthly and quarterly gifts can be set up on your credit card with our online donation form, and annual pledges are gratefully accepted. To learn more about our current needs or any of these giving options, please contact esperanzajuvenil@bhgh.org or 314-298-1250.